Everything you need to know about the Thames' most elaborate bridge. 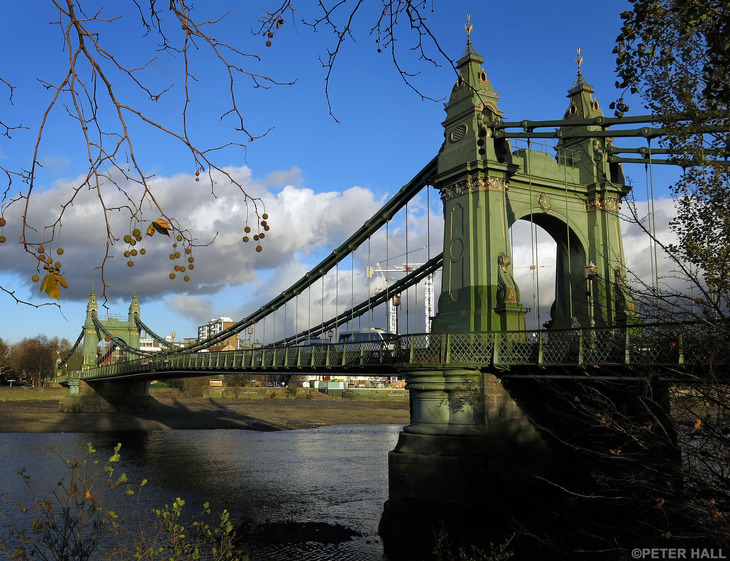 The original Hammersmith bridge opened in 1827, and was designed by William Tierney Clark. 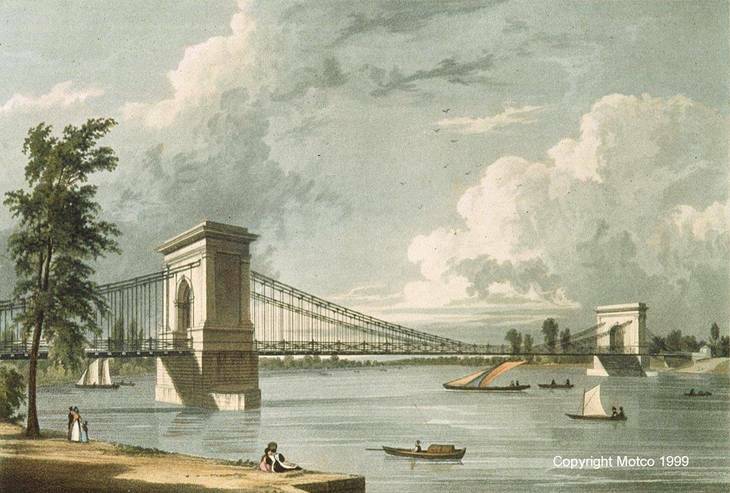 The first Hammersmith Bridge in 1828. It was the first suspension bridge over the River Thames: that is a bridge where the deck is hung below suspension cables on vertical suspenders. There were concerns about the strength of the bridge as early as the 1850s. Crowds loved to watch the boat race from this particular vantage point, halfway through the course: when crowds on the bridge hit around the 11,000 mark in the late 1860s, the bridge swayed from side to side as people flocked to the sides to see the race. 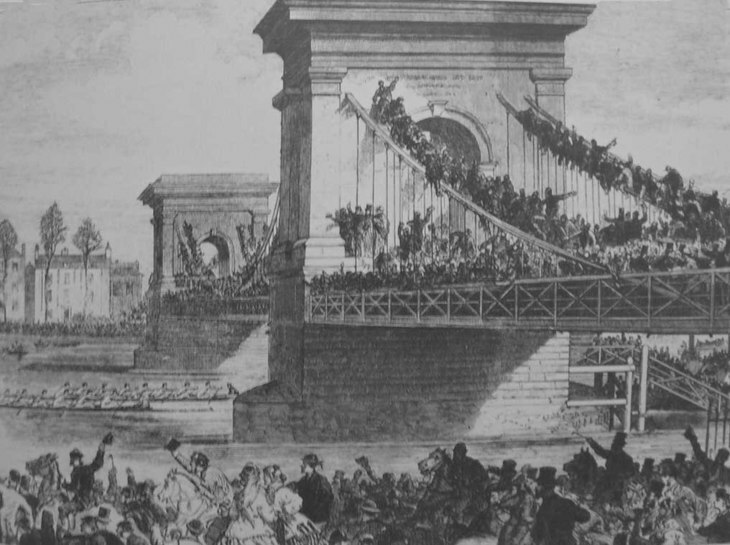 Crowds on Hammersmith Bridge during the 1866 Boat Race. By the 1870s, it became evident that it was not strong enough to support the volume of traffic going across it; it took until 1884 for a replacement to start being built. It was opened by the Prince of Wales on 11 June 1887. With much of the supporting structure built of wrought iron, it is 700 feet (210 m) long and 43 feet (13 m) wide and cost £82,117 to build. Hammersmith Bridge. Photo by Peter Hall. 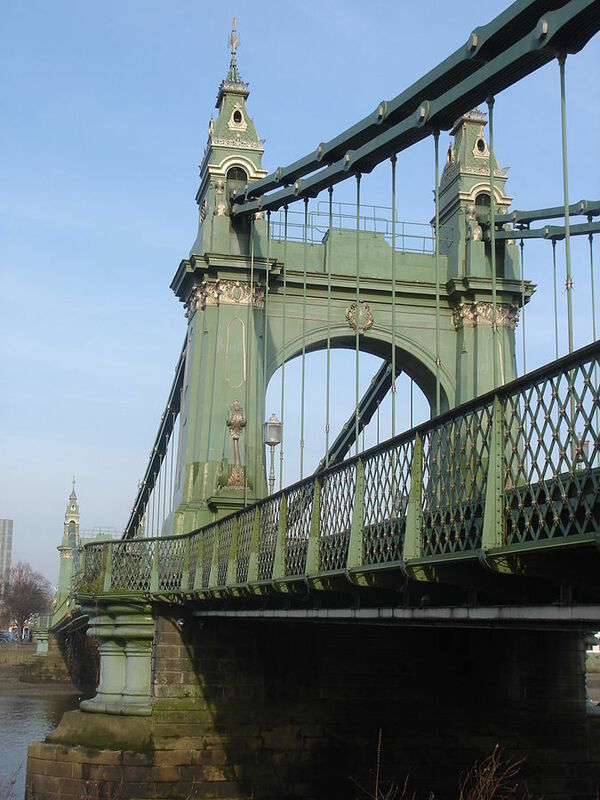 The current Hammersmith Bridge is very ornate with wrought-iron parapets, mild steel chain links and air draught gauges both up and down stream; the decorative iron blocks that support the walkway sit on squat, clustered Doric columns on stone piers in the river. How low can you go? If you're on Hammersmith Bridge, the answer is: very low. 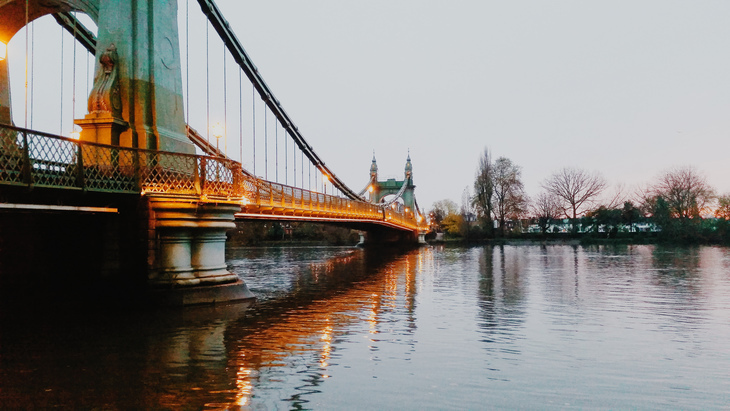 Hammersmith Bridge boasts a water clearance of just 12 feet (3.6m) at high tide, making it the lowest bridge over the river Thames. It is so low that the river path only just fits below it on the Barnes bank, and is prone to flooding. 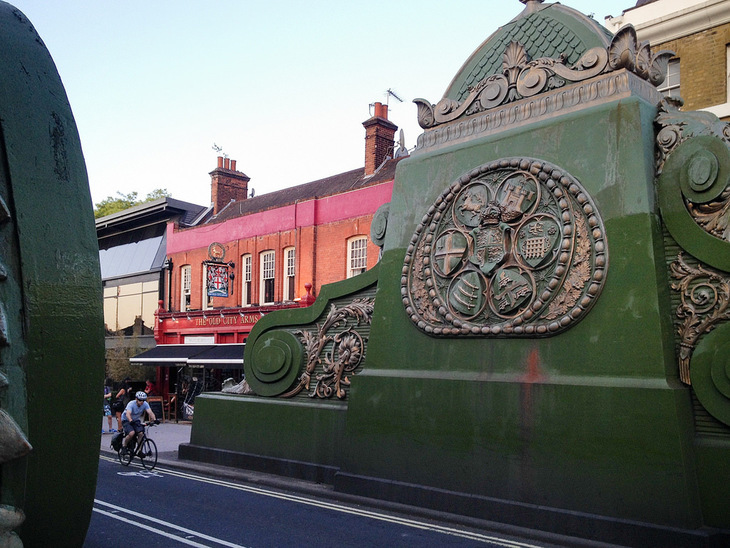 Hammersmith Bridge features not one but seven coats of arms. The septet of heraldic decoration features the present Royal Arms of the United Kingdom in the centre. The crests on Hammersmith Bridge. Photo by John Willoughby. Around the edge, the others are (clockwise from the left): the coat of arms of the City of London; Kent; Guildford; the original coat of arms of the City of Westminster (with the portcullis); the coat of arms of Colchester; and Middlesex (in its original form without the crown). In previous years, these seven crests have been painted in their varied colours: today they're all green and gold, but some have called for them to be returned to their former glory. Unfortunately, Bazalgette's 130-year-old bridge just isn't strong enough for today's modern traffic. 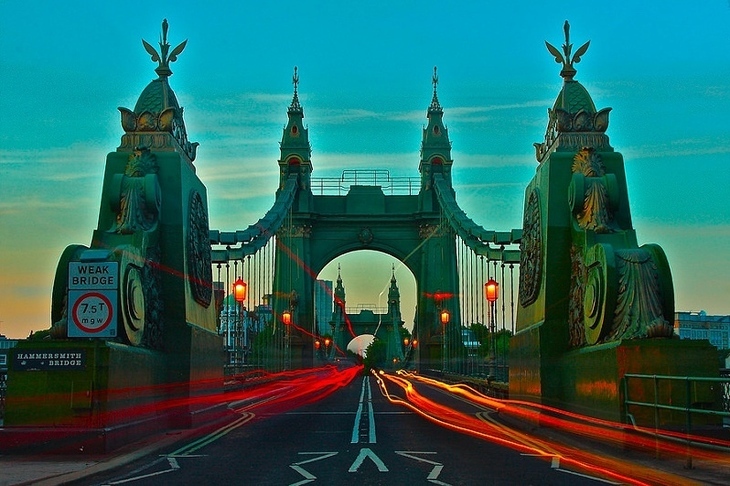 Weak bridge: Hammersmith Bridge struggles to support modern traffic. Indeed, the bridge was already too weak 40 years ago. 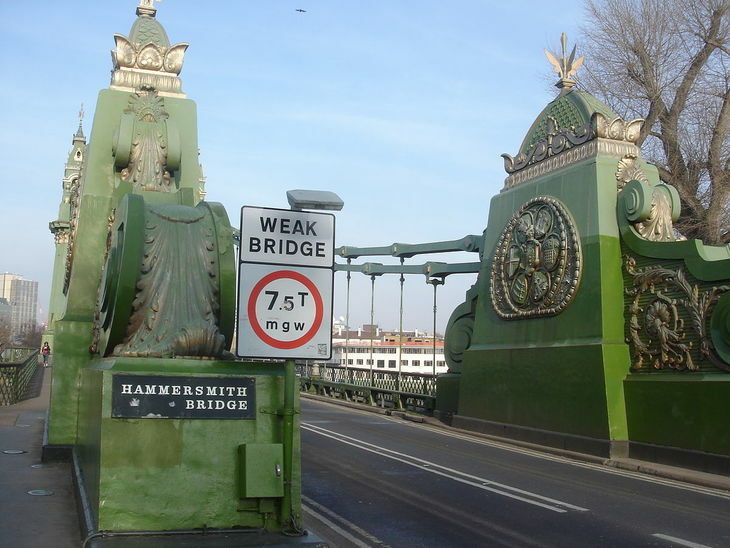 Hammersmith Bridge currently operates under severe weight restrictions. Only one bus in each direction permitted on the bridge at any one time. It's an ongoing problem: there have been substantial improvement works in 1998, 2000, 2016, and 2017. As you can see from the video above, Hammersmith Bridge was painted in a rather fetching mishmash of pastels during the last century. But the bridge was repainted green in 2000, back to its original hue following advice from English Heritage. The bridge was covered in a pale pink undercoat for the first year of its life, but then painted green in accordance with Bazalgette's plans. 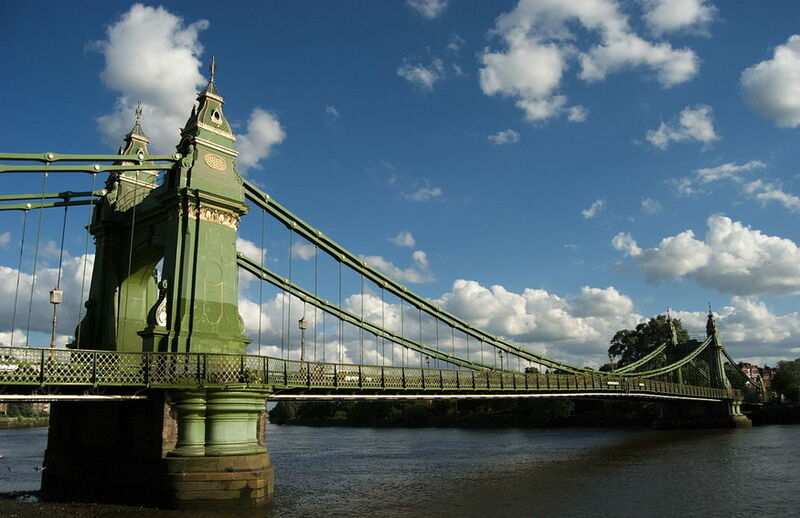 And if anyone's told you Hammersmith Bridge is painted green and gold to match the nearby Harrods furniture depository, we're fairly sure they're wrong: the latter opened in 1894, more than five years after Bazalgette painted his bridge green. In fact, bits of the bridge's intricate design add to its performance. Tower: photo from wikimedia commons. For example, the decorative copulas on top of the towers are actually functional, acting as protective covers for the bearings for the unique eyebar chains that hold up Hammersmith Bridge. 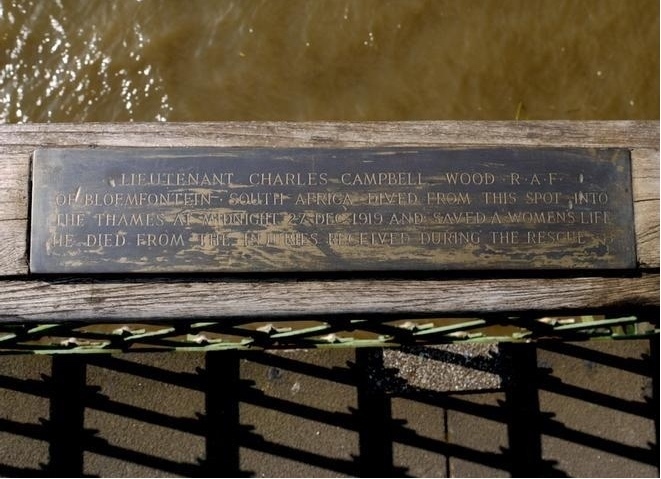 Near midnight on 27 December 1919, a Lieutenant Charles Campbell Wood from Bloemfontein in South Africa, dived into the Thames from the upstream footway of Hammersmith Bridge to rescue a drowning woman. They both survived the ordeal, but Campbell Wood died of tetanus contracted from his injuries, and died two weeks later. His bravery is commemorated with a plaque on Hammersmith Bridge. The plaque on Hammersmith Bridge. Hammersmith Bridge has been the target of two bombs: once by the IRA in 1939, and once by the Provisional IRA in 2000. The first bomb was spotted by Maurice Childs, a hairdresser from Chiswick. Walking home at one in the morning, Childs spotted a smoking suitcase lying on the bridge's walkway. He quickly threw the bag in the river: the resulting explosion sent up a 60-foot (18m) column of water. Moments later, a second device exploded causing girders on the west side of the bridge to collapse. 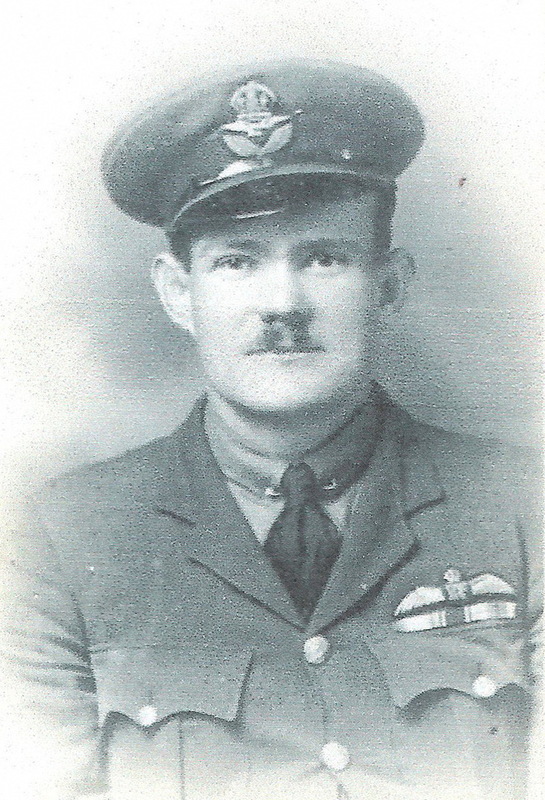 Childs was later awarded an MBE for his quick-thinking. At 4.30am on 1 June 2000, the bridge was damaged by a Real IRA bomb planted underneath the Barnes span.